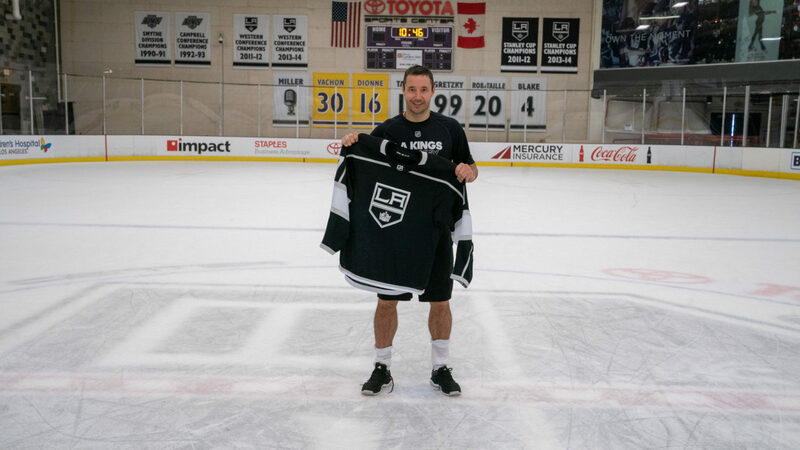 Ilya Kovalchuk: signed, sealed, and after arriving Sunday from Moscow, delivered. 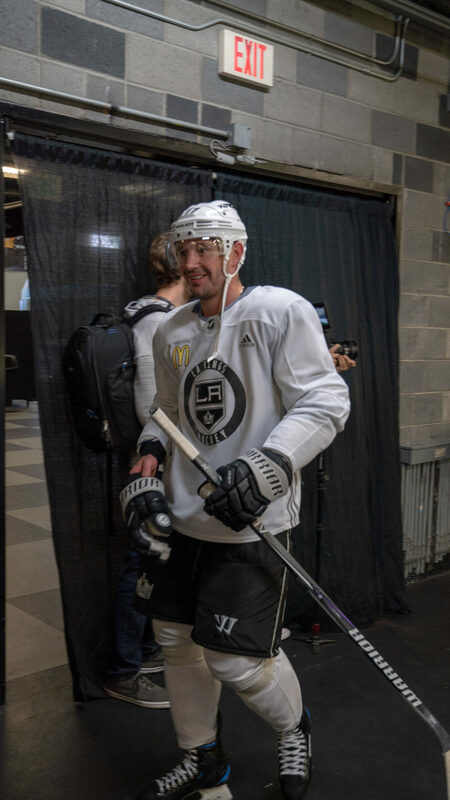 The forward skated for the first time in Kings regalia at Toyota Sports Center Monday morning after signing a three-year, $18.75-million contract on July 1 and again articulated his decision to commit to Los Angeles. He shared that he’s about to start the process of spending time with coaches to go over systems play and his role with the team, indicating that he would meet with the staff later on Monday. 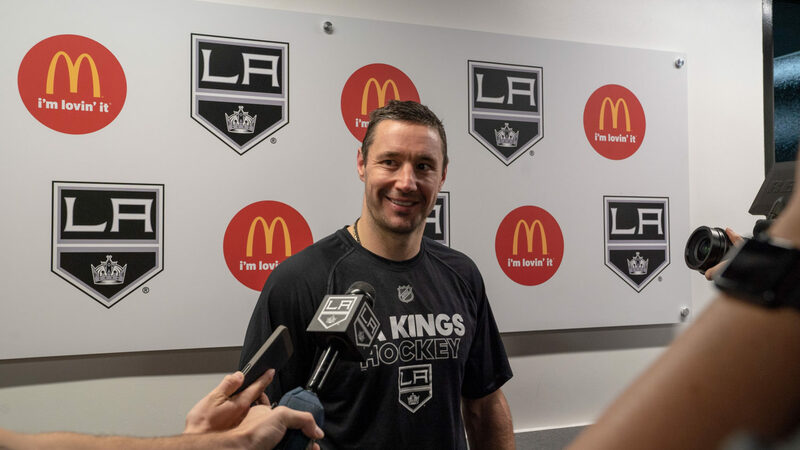 Naturally, there were a number of questions about both his renowned conditioning and the differences between the NHL and KHL, with the understanding that the NHL’s pace and cadence has improved since his last season in New Jersey in 2012-13. The NHL isn’t exactly the 1980’s NBA, but it is juxtaposed against a low-scoring KHL in which 13 goaltenders posted sub-two goals-against averages last season and 14 goalies stopped at least 93% of the shots they faced. Pavel Francouz, who signed with Colorado in the spring, led the league with a .946 save percentage. Mikko Koskinen, signed by Edmonton around the same time, finished with a 1.57 save percentage. There’s obviously a talent discrepancy between the two leagues, but Kovalchuk’s 31 goals in 53 games shouldn’t be discounted. His presence will be among the more interesting story lines on the Kings and in the Western Conference, but until the games start to count, how Kovalchuk will factor into a Los Angeles offense that took strides in 2017-18 but was absent in the playoffs is based upon speculation and conjecture rather than any sort of data. The forward declined to offer any sort of goal or point total. 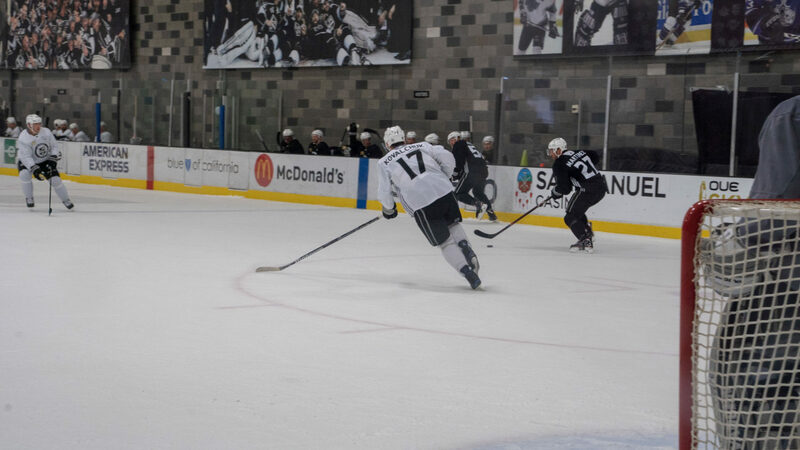 One interesting factor that Kovalchuk may not have dealt with yet in his career? Extended travel. The forward spent the first 816 games of his NHL in the Eastern Conference with Atlanta and New Jersey, and the Devils are among the Eastern Conference teams with the fewest miles traveled, year after year. One estimation has the Kings traveling the 14th most miles in the league this season (which, loosely, isn’t too far off from the types of miles the Thrashers would travel, given the similarly traveled Hurricanes and Lightning in the provided grid). Does he expect any adjustment as he adjusts to the rigors of Western Conference travel?